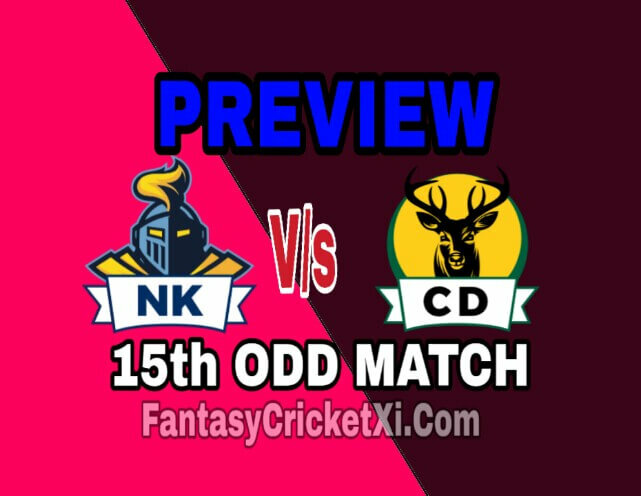 Match : NK vs CD, 15th Match, The Ford Trophy 2018. Date : Tuesday, November 06, 2018. Time : 10:00 PM GMT(03:30 AM LOCAL). Venue : Seddon Park, Hamilton. Pitch Report : The wicket is expected to be a good batting track. Avg 1st Inn Score : 243. Avg 2nd Inn Score : 220. Highest Total : 363/4 (50 Ov) by WI vs NZ. Lowest Total : 122/10 (44.5 Ov) by IND vs NZ. Highest Chased : 350/9 (49.3 Ov) by NZ vs AUS. Lowest Defended : 182/9 (35 Ov) by NZ vs SL. NK match abandoned CD 30/10/18. NK match abandoned CD 10/02/18. NK 249 lost to 334/8 CD 05/12/17. NK 288 lost to 336/7 CD 10/02/17. NK 174 lost to 401/8 CD 03/02/17. Dean Brownlie (c), James Baker, Joe Carter, Henry Cooper, Anton Devcich, Zak Gibson, Brett Hampton, Daryl Mitchell, Brett Randell, Joe Walker, Peter Bocock(w), Nicholas Frederick Kelly. Greg Hay, Ben Smith, Willem Ludick, Dean Foxcroft, Josh Clarkson, Doug Bracewell ( c ), Christian Leopard, Ma’ara Ave (w), Ryan McCone, Bevan Small, Felix Murray, Navin Patel. ➤ Northern Knights Did Not Win Any Match In This Tournament They Are In Bottom In The Point Table. ➤ The Team Has Announced 12-man Squad For This Match And They Have Not Listed Boult, Wagner and Flynn In The 12-man Squad. ➤ Currently Placed At Fifth Position In Points Table. They Win Only 1 Game. ➤ The Team Have Announced 12-man Squad For This Match. ➤ Ben Wheeler Misses Out The Squad Don’t Pick Them.